Rexall Pharma Plus has an awesome Air Miles Reward Miles offer coupon! 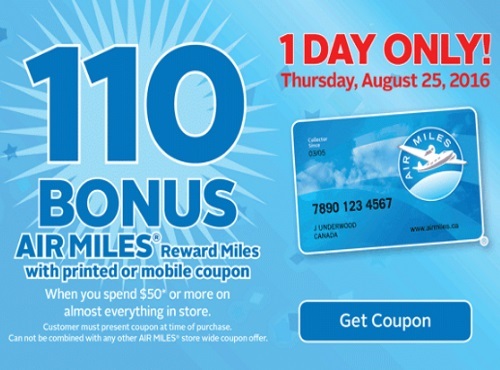 Get 110 Bonus Air Miles when you spend $50 or more on almost anything in-store tomorrow! Offer is valid Thursday, August 25, 2016 only. Show the coupon on your mobile device or print it out.